It is evident media freedom has been restored. I am the most abused person in the media today. 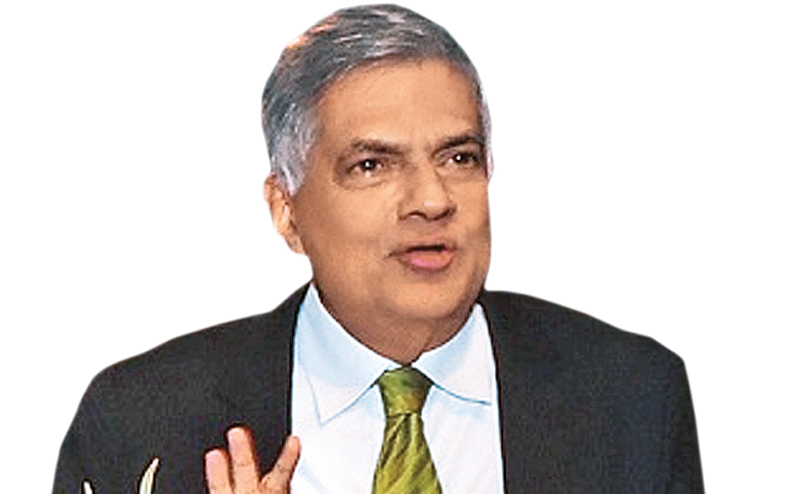 As the French saying goes, I will defend till my last drop of blood is shed, your right to abuse me, Prime Minister Ranil Wickremesinghe said yesterday. Addressing the 20th Anniversary of the Colombo Declaration on Media Freedom and Social Responsibility at the Cinnamon Grand Colombo yesterday, the PM said lives were sacrificed to ensure media freedom. “In the end, it was the political parties and the civil society that got to the streets to fight media freedom,” the Premier said. He noted that Lasantha Wickrematunge, Prageeth Ekneligoda, several journalists from the Udayan newspaper and many others sacrificed their lives to protect media freedom. “When I was questioned about the progress of the investigations, I said that one of the police officers who was inquiring asked me how they can inquire when the media is abusing and making them the villains”, he said. He further said that if any evidence was required, he was certainly ready to provide them. The Prime Minister said media freedom was achieved due to the struggles of the public and that can only be taken away by the media itself. “Parliament and the judiciary should work together in bringing laws on Contempt of Court. I do not think it’s impossible.The Oversight Committee on Judiciary would certainly look into it, but it requires extensive consultation with the judiciary”, he said. Speaking about the International Covenant on Civil and Political Rights (ICCPR), the Prime Minister said the matter has come to Parliament. He further said it was not abolished by Parliament but was suspended by the Supreme Court and added that only one part of ICCPR is being questioned on the basis, which has no facts. “Therefore if we all get-together we can restore the ICCPR fully. The final decision on the ICCPR lies with the government of Sri Lanka. In my view, the government should be asked to explain to Parliament why it does not agree,” he said.